Today we want to talk about how we use words. In particular, a phrase that needs to die. Because it has implications that lead us away from God’s truth. We’re writers, so let’s make very sure our words are filled with truth. Singing? Great. Praying? Great. God showed up? Not great at all. Now, we get that what they mean is that they saw or felt the Spirit move, and that’s wonderful. But when we use a phrase like “God showed up” to express that event, we’re implying that God wasn’t seeing, hearing, or acting until they sang and prayed. But He was there all the time. No matter what we do, He’s there. Whether we feel Him move or not, He’s there. Seeing, hearing, and acting as He’s promised to do. The simple fact is that God doesn’t “show up.” He’s already there. He’s omnipresent. Clearly, God is working. He doesn’t step in or show up, He’s already there, walking alongside you. More often than not, He’s weaving His power and majesty into the everyday things we do to survive in the midst of the deep. Consider the example of Paul and the shipwreck from Acts 27. Paul’s been arrested and he had to appeal to Caesar in order to keep from being handed over to the Jews who would take him back to Jerusalem to try him. The way to Rome from Caesarea (in Israel) is a long journey west from port to port across the Mediterranean Sea before they can go north to Italy and Rome. Landing, putting out to sea, landing, putting out to sea. And they’re hindered all the way by unfavorable winds. Eventually it becomes too late in the season to sail safely, but they’re caught in a harbor unsuitable to winter in so they press on, only to get caught in a terrible storm. They’re driven and tossed, they have to pass ropes under the ship to hold it together, they don’t see the sun or stars for many days, they throw the cargo overboard to lighten the ship. They throw the tackle overboard. They take such a violent beating that no one even eats for 14 days, and they lose all hope of surviving. This is not flashy. It doesn’t appear miraculous. No one was levitated or instantly transported. If you wanted to, you could believe you just got lucky. You could believe that your own hand saved you. But God tells Paul about it beforehand so they would all know it’s God. Just another thought about that. Karen is a strong swimmer. She grew up in Oregon and spent a lot of time at the coast. She can tell you this: Good swimmers drown all the time in powerful waves. Rip tides, under current, etc. Regardless of how strong these men were, for everyone to survive, it had to be God fulfilling His promise. Likewise, God is there, intimately involved in your life, keeping you afloat in the midst of the deep. Whether He’s doing anything that looks flashy or not. Whether you FEEL Him or not. Maybe you’re writing your book everyday and it isn’t coming easily and you feel God isn’t with you, isn’t in it, but if God gave you this task, He is helping. He’s there. We’re so primed to have “experiences” of God. Instead of to quietly trust. Another problem with the phrase “God showed up” is that it gives us a skewed perspective on how God responds when we pray. If God has to show up, then we have to wonder: Does He even hear? Does He see? God, on the other hand, sees everything. And hears everything. We don’t want to say or do anything that could imply otherwise. Thank God that He does hear us, not only what we pray, but let’s go one better: He hears what we don’t even know how to pray. The danger is in us not thinking He hears because we don’t see, feel, or hear an obvious or immediate answer. He chooses what the answer will be: yes or no or not now. Or not in your way, but in My way. He chooses when to answer: in His timeline, not ours. We can see this working in the book of Habakkuk. Like Habakkuk, we think God isn’t listening if He doesn’t answer us NOW! But what Habakkuk learned was that God not only listens, He’s already at work. He had His plans and purpose for Judah and Judah’s enemies. God was already at work, and He was bringing the terrible nation of the Chaldeans to judge Judah. That was NOT exactly the answer Habakkuk was looking for! But it was God’s answer to accomplish HIS purposes in and through His own sinning people. And yet, even in the face of the coming punishment, God did give Habakkuk some encouragement that those He was using to refine Judah would pay for their own evil as well. So even in the hard truths from God that may come in answer to our prayers, He gives hope. God doesn’t answer our prayers because we want Him to. He answers them to accomplish HIS purposes in our lives and the lives of others. And to bring glory to Himself. This is WHO He is – faithful, trustworthy, glorious. Answering prayer is one way He shows who He is. We have a God who always sees, always hears, always knows our hearts, our thoughts. Before a word is on our tongue, God already knows it. He doesn’t need to show up. But He does use certain moments to let us see His grace, His presence, His work in a more experiential way. Why is how we express that important? Because we are people of words, craftsmen of words, and we need to be purposeful in how we express things, especially when we express things about God. We need to be sure that what we say resonates with Scripture. He is always at work, and we can trust Him. Have you ever wondered if God hears your prayers? If He sees your situation? If He truly knows how you feel? What helped you in that situation? Warning! You may not be saying what you think you are about God! We’re grateful to our Patreon sponsor of the month, Tammy Partlow! Watch for her debut novel Blood Beneath the Pines, a suspense set in the deep South, releasing October, 2018! Does it feel as though your journey to publication is taking too long? Guest Martha Rogers understands that feeling. Her lifelong dream of being a published writer came true—on her 73rd birthday! Come listen as she shares what God taught her about patience, trusting His timing, where to put her focus, and why His timing is far better than ours! Thanks to our supporters on Patreon, we can now provide transcripts of interviews! 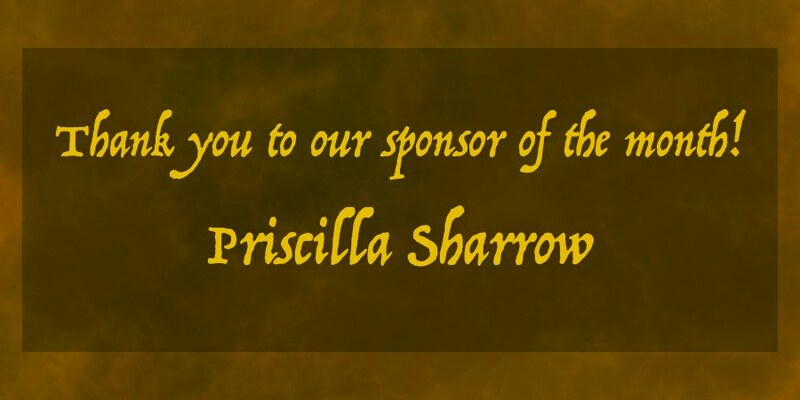 Special thanks to our Patreon sponsor of the month, Tammy Partlow! Watch for her debut novel Blood Beneath the Pines, a suspense set in the deep South, releasing October, 2018! Erin: Well, hello and welcome listeners, welcome to The Deep. We are glad that you’re here with us, and we’re again delighted to have another interview, another guest author to share their wisdom. Karen and I have so enjoyed these interviews to hear experiences throughout the body of Christ. It’s delightful. And so, we have Martha Rogers here with us today, and I’m going to let Karen introduce her. Karen: Martha is just a wonderful person, let alone an amazing writer. And she and I, we were just talking about it, and we first met in the nineties at a now-defunct conference. It used to be held in Tulsa, Oklahoma. It was called the Professionalism in Writing Conference, and it was run by the inimitable Norma Jean Lutz who was as Oklahoma as it got, so it was a great conference, and we have really enjoyed—Martha and I have enjoyed our interactions in the times that we meet at different conferences. So, she is a writer of both fiction and non-fiction and she is a speaker. Her stories and articles have appeared in a number of compilations and magazines, and her first novella released in 2007. It’s nice because her experiences as a public-school teacher, as a Sunday school teacher, a youth leader, a first-place leader, a mom, and a grandmother, all give Martha a unique field of ministry. 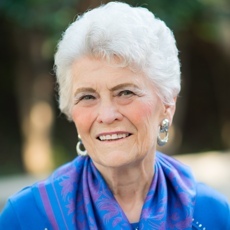 She speaks at women’s retreats and events and at writers’ conferences and you can find out lots more about her at Martha W. Rogers that’s Rogers without a D so R-O-G-E-R-S, Martha W Rogers dot com. But you know the thing that I have always found the most fascinating about Martha and about her writing journey, is that her first novel Becoming Lucy was published when she was, get ready for it, seventy-three years young. And that was a realization of a lifelong dream for Martha, and we’ll talk more about that in just a minute. Erin: So welcome Martha we’re so glad that you’re here with us. Say hello! Martha: Hello everyone, I’m so glad to be here because I’ve always admired Karen, and she’s helped me so much with my writing. Karen: Okay guys, in case you’re wondering Martha’s not choked up because I’ve had such a profound impact on her, she’s been dealing with a respiratory infection and yet she’s still here to share her wisdom with us today, so we really appreciate you taking the time Martha. Martha: Well, I appreciate you having me. Erin: So, we’re going to of course going to put you on the spot right away. Karen and I have some different ideas about what the deep or being in the deep or going through the deep means to us but, we love to ask our guests: when you think about the deep, what does the deep mean to you? Martha: Well it sort of means going deep down in me, really in my heart, in my soul, and knowing what God really means to me, and how I can get that across to my readers, and how much He can mean to them, in the same way. Karen: Well that’s great. So, Martha tell us, when did you actually start writing? Karen: So you were a novelist from the very beginning. Martha: Oh, I was a storyteller from the word go. I made up stories for my paper dolls. But it became an escape for me, because my parents were having a lot of problems and when they divorced, my paper dolls became my perfect family, and I didn’t have any problems as long as I was playing with them. Karen: Yeah, fiction has that power to transport us and sometimes you know people used to talk down fiction because they called it escapist reading, but you know sometimes you need an escape from tough things in life. So, tell us a little bit about your writing journey then. When did you first start going to writers’ conferences? When did you first think that this was something that was going to go beyond the stories with paper dolls? And my college teacher said the same thing. She said, “I love the way you describe things, I love this and that.” I had a problem with grammar, the writing part was always an A, A plus, but I’d always make these little grammar mistakes. But I wrote my novel then and had my teachers read it and they would give me some pointers but they said no you’ve got to learn all this and do all this yourself, and so that’s what I was doing. It’s not my job to write the book for you! Martha: That’s right, that’s right. That book will probably never see the light of day, but it was fun to write, and I was looking back over it and the biggest problem I have now is keeping it in the language of the fifties. I keep wanting to change it. I thought that sounds so awkward, but that’s the way we talked. I wrote just like I was talking as a seventeen-year-old, so you know. But anyway, it was fun. But I put it aside when I got married and had three boys. And when I went back to school, probably in the eighties and got my master’s degree, I was taking creative writing, and that’s when I really got back into it and started looking for an agent, started looking, you know, where can I get published? How can I get these things out there? Karen: Well that’s a pretty substantial learning curve there, starting out when you’re that young and then going into the nineties to look for an agent, so how did that go for you? Martha: Well I had an agent and he was okay, but he was not really…we weren’t really that compatible and I began to realize that, and we parted ways probably about 1994. And then I started going to the ACW conferences and I met Steve Laube and Steve gave me great advice. I went to a number of different conferences with him, then I went to PIW and met you and Francine Rivers and Cecil Murphy. Cecil Murphy, for some reason, took me under his wing and started giving me all kinds of wonderful advice and would read stuff for me and tell me where I needed to go, the direction that I needed to take and things like that. He was absolutely wonderful. And Francine was a great encourager too. I would write to her and ask her questions, and she never hesitated to answer. It just amazed me how open and friendly she was. Now you scared me Karen. I was in awe of you. And then I finally got to know you and it was much better. Karen: Oh, I’m glad! It would be a little unsettling if you were still scared! Martha: No. I remember at Mount Hermon and you did those early morning devotional times, those were so precious to me. I just loved that. 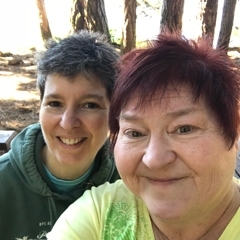 Karen: Yeah, one of the few things that will get me out of bed early in the morning—besides fishing—is the early morning prayer and praise time at Mount Hermon. Erin: Martha, I love the way that God has had His fingers on you. You know from way back into your childhood and how you have, you know, you were making up these stories and you were writing something way back when. Then that goes on hold for a while, but is not forgotten. And then you go back and you get this master’s degree and then God puts people in your life like Cecil Murphy and Francine Rivers and they speak into your life. It’s like you have this long journey of people planting into you and God bringing this fruit. It’s like this tree that just takes a long time to grow and then one day there’s this fruit in how you get published. Tell us a little bit about how that first book got to be published. Martha: Well it’s really funny I sent it to—well first I got Tamela as my agent back in early two thousands. Back when we were in Kansas City, I met her and then she became my agent the next year, and she was sending this novel out to several places and it went to, I’m trying to remember…Tyndale. And the editor there read it and she said, “I like this but we already have an author who writes so much like this that I can’t really get it past our board, but you need to send it out again.” And so she did. And when Charisma which is now Realms, the Realms division, accepted it and sent me the offer letter, I was just amazed and it was on my seventy-third birthday that I got the offer letter. Karen: That’s one heck of a birthday gift! Martha: Oh gosh, I was flat out amazed and then on July the fourth we were in Kerrville with my son on sort of a vacation trip and she called, and I was in the car. We were driving from Kerrville back to Fredericksburg, and she told me about it and I just nearly came unglued. My son almost had a stroke. “Mama, what’s wrong?” We were on the highway and he got panicked. He was so excited. Karen: So you had this long journey from childhood until you’re seventy-three when that lifelong dream finally happens, so in the course of that journey—I mean every time I’ve met you, you’re always upbeat and you’re always happy, and you’re just this amazing influence on people around you—but did you deal with times of discouragement, times when you just felt like this was never going to happen? Martha: Oh yeah, I would look around and I’d say, “God do you know what time it is? Do you know how old I am?” And I would be just like a little girl stomping my foot and saying, “Mama!’ And I thought well yes, God knows exactly how old I am and where I am, and He’s just being ornery and making me wait. But I knew that if it was going to happen it would, but it would have to be when He wanted it to, and when He thought I was ready. But it was hard being patient because that’s not my virtue, at all. Erin: Well, it is now. Karen: You’ve learned patience from this. What did you do to deal with those moments of discouragement? Martha: Oh, I had so much other stuff going on. I had so many friends and my Sunday school department and the choir and Christmas programs and Bible studies and such. I was so busy, and of course teaching school, that I just didn’t let it get to me. I would mope for about a day or two when I would get a rejection letter and then just think, oh okay, and go on to the next thing and try something else. I just don’t stay down about things like that. Karen: I think there’s a great deal of wisdom in that. You know, give yourself time, like you said, to mope and to maybe spit and stop your foot, but a limited amount of time. And then you move on to the next thing. It’s really hard for us, even though you know if you’ve been a Christian for a long time or a short time it’s really hard to trust that God’s timing is best. It’s hard because we want this thing to happen and especially since we feel as though in writing for Him we have truths to speak to people who need them. And yet it’s not happening and it’s not happening and it’s not happening. And that can take us into those deep and difficult places. Martha: —in that length of time. I’ve been writing a lot of novellas and we’ve found those sell. My friends love them because they say they can read them in a hurry, they don’t have to sit and worry about taking four or five hours or all day or something. They can sit down and read them and have fun and enjoy them and not have to spend all that time. Karen: So, it’s like you found your niche. Martha: Yeah. All my friends, they come over to my house and say, “Where are your books?” Because when I get them I have them lined up in a room and they come in like they’re browsing in a store. Erin: But I love how through this your focus has not been solely get published get published get published. That hasn’t been your focus. You have had other things going on, and you have been open to God using you in all of those other facets. And I love that that’s how your story went. You know, so many times, I think we get too focused on just our own picture of how this is supposed to be and we lose sight of the things God wants us to be doing right now, while we wait. Martha: That’s right. I mean having the choir and my Sunday school class and all these other things to do, my time was filled. I wasn’t concentrated on just this one little thing. I think that’s where we make a really big mistake is getting too focused on one thing and not keeping our eyes open to what else God has for us. Karen: That’s a really good point. I do think that because we have so much focus on learning the craft and going to writers conferences, we get tunnel vision on what we think this one thing is in our lives, and if this can just happen then everything will work out great and I’ll know I’m doing what God has asked me to do. But there’s such wisdom in saying you know that’s just one facet of what God has given us as a task and we need to keep our eyes and our heart open to the other places where He’s called us. Erin: So, Martha what advice would you give to other writers who are maybe your age and they think that it’s too late. Martha: Well, all I can say is just persevere, because if this is what God’s plan is for you, you can’t do anything to really stop His plan. Martha: Except, not to do it. If you’re working for Him, if you’re writing, if you are getting it out there, then you are in the process. And He will make something happen if that’s what He wants. But if His plan is for you to get published but you’re not doing anything but just sitting back and writing and saying, “Well this is okay I guess but nobody is going to want to read it,” then you’re never going to get it out there. So write, submit it, get it out there, and when God is ready, and if it’s His plan, it will happen. Erin: Do you feel that there are some challenges that you face physically as just being an older writer? A senior writer we’ll call it. Do you feel there are some physical challenges and how do you deal with those? Martha: I am very fortunate to have fairly good health. I have this lung disease that’s incurable and that I have to fight with, but it doesn’t hinder my actual physical being able to do things and go places and such. The only trouble I have now is I don’t move as fast, I can’t get places as fast. Karen: Yeah, well Martha I just turned sixty-one this week and I don’t move as fast, so there you go. Martha: I know, I used to walk three miles every morning in no time at all. And now I can barely make it around the block in that time. But I still have to try. I still have to do that. But I think one of the things that we have to understand is that God doesn’t put things in our lives without a purpose. And when those things come into our lives and we make it through and we see how His hand is on everything, we can always delve into that and go deeper into that and help our readers to see how He works. One of those things was forgiving my brother. The turmoil and such I went through in learning to forgive him in what he had done and what he was involved in. Cecil Murphy helped me with that and said, ‘You’ve got to write this story. There are too many people out there who need this.” I did and Home Life Magazine picked it up and they published it. It was hard to write. It was very difficult to write because I had to go in deep into my feelings and show people how prejudice I was, and how I turned against him, and how I ignored the fact that I had a brother. And that was hard. But I had people come to me and say, “I’ve been in the same situation and it’s helped me understand what I have to do.” And when this woman came up to me and told me that at a library in a church in Arkansas where I was visiting, and I had no idea who she was, and she just happened to hear my name from my sister-in-law and knew that I was a writer, and she said, “You wrote that article.” And I said, “Yes.” And then she told me, and if just that one person, if her life was affected, it was worth every minute I spent. Martha: But when you go deep into yourself like that and can pull out some of those hard, hard times that you had, and transfer them to the paper and your characters and let people see how things can be better, how God can take care of things. Karen: And I think that’s one of the most important facets of being a writer is that we have be willing to look at our own lives and our own struggles our own faith journey first. And to let God work in those areas where we need to be refined and we need to learn forgiveness and we need to come out of the things that are holding us back spiritually and emotionally, and then we can share that process and those discoveries with our readers. And that’s when it impacts people. Your story was real and authentic and you shared your struggle. And that story, that truth about what God had taught you impacted other people. Martha: That’s right. My grandson will be twenty-five years old this fall and for twenty-five years we have gone through day by day with him with cystic fibrosis. And up until a couple years ago we weren’t sure that there was going to come another day. We just lived each day with him as he progressed. But now he’s a young adult. It’s taken him twice as long to get through college, but he’s persevered, he’s going to graduate from LSU next year. Watching what he has been through and knowing what God is doing in his life makes such a difference. You get such a different outlook. And when people say how can you smile? How can you when you know he’s this and you know this is happening, you know this is happening, how can you just keep smiling? Because Gods in control. He’s got it. I can’t do anything about it. If I stew and worry, I’m taking away time that I could be spending doing something else. Karen: Oh exactly, how can we not smile? Because we have an almighty God who knows every single aspect just as He knew when to give you the storytelling ability, when to bring you to a place where you took it on as more of a profession. When to let your first book come out. He had all of that in control, anything that we look at in our lives, whether it’s a health issue, whether it’s something in our family like with your grandson, no matter what it is God has control of it. Martha you’ve been so wonderful thank you so much for being with us, we have really loved hearing more about your story and about the ways God has sustained you and led you in the midst of it. I just pray that we can all open our hearts, to be submissive to Him and to smile, and remember that our God is a loving God who is taking care of us in ways we can’t even imagine. Martha: You know when I survived my second cancer surgery in five years, I thought, Lord you must have something really coming up good because you let me go through this twice, and it carried me though. Karen: I think we’re going to have to have you come on again! Your second cancer surgery? We’re out of time for today but holy cow we’re going to have to have you come back in and talk to us about all these things that God has brought you through, and until then thank you again for being with us. Martha: Oh, I’ve enjoyed it, thank you. Do you wonder if it’s too late for your writing dream to come true? How do you handle waiting in your writing journey? Is it ever too late for your writing dream to come true? Guest Martha Rogers says NO! Special thanks to the folks at Podcast Production Services for their fabulous editing! Want to know what’s happening at Write from the Deep? Join our newsletter! You’ll also get the free exclusive audio download5 Crucial Ways to Safeguard Your Writer’s Heart.